Frozen LOYAL3 Assets – When Will I Have Access to My Stocks and Cash Again? 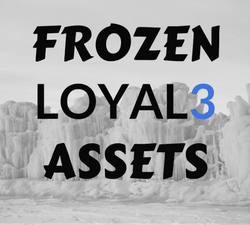 Just a quick update on our frozen LOYAL3 assets … it looks like we have some movement finally! Back at the end of April when LOYAL3 announced that it was shutting down, we made the decision to transfer our assets (stocks and cash) to an existing Fidelity brokerage account. So on May 1, 2017 … we submitted our transfer request to Fidelity. Unfortunately, the transfer has taken much longer than originally expected. And it got to a point where many shareholders (including myself) were very frustrated. Just last week, I couldn’t log into my LOYAL3 account to view my stocks or transactions. My Fidelity broker was unaware of when our stocks would be transferred and LOYAL3 support was only accepting email notifications … no calls. Late last week, I received an updated email from LOYAL3 letting me know the transfer is expecting to be completed by June 9th! While this is several weeks longer than I had expected, I am glad to know things are starting to move along now. We wanted to update you on your account transfer to your new broker. We received instructions from your new broker and expect to complete processing of all transfers by Friday June 9th. Your new broker should have your assets by early in the week of June 12th. If you are a LOYAL3 customer and have fractional shares, we will sell those shares, and wait 3 business days for the sales to settle. Then, we will send the proceeds to your bank account by June 16th. You should see funds in your bank account 2-3 business days after that. In the meantime, we’ve lifted your account restriction so you can see your assets still in your LOYAL3 account. And, you’ll still be able to login to access records like 1099’s and monthly statements until June 18, 2017. We appreciate your patience during this transfer and wish you the best with your new broker. Several weeks ago, I was disappointed to hear that LOYAL3 was closing down. I had been using this zero cost broker for several years and built up over $17,000 in assets (mostly stock) in my account. For years, I took advantage of monthly investment plans, $0 fee’s and commissions, and a very user friendly website. I was able to build up sizeable positions in some really great dividend paying companies like – Microsoft (MSFT), WalMart (WMT), and Target (TGT), just to name a few. And because the broker allowed for partial share trades, I was able to finally invest in Apple (AAPL) stock … one month at a time. Of course, there were a few annoyances along the way. Like the limited number of companies that you could invest in. Not having the option for dividend reinvestment was also a bit of a hindrance … but certainly an acceptable trade-off for $0 commission trades. But overall, I had a very good experience using LOYAL3 as a tool to build our dividend income stream. Unfortunately all that has changed now that they are closed … trying to transfer our assets to another broker and having access to my assets has become a huge pain. What to Do With My LOYAL3 Shares? When LOYAL3 announced it was closing, I had a decision to make. Let my shares be automatically transferred to a new broker – FolioFirst, sell out my shares and have my cash transferred, or transfer my shares to a different broker (other than FolioFirst). First, I didn’t want to have my stocks transferred to FolioFirst. They will start charging me $5 a month starting in August to have an account. That didn’t (and still doesn’t) seem like a good option. Second, I certainly didn’t want to waste all the capital and time we have committed to the shares we owned in our LOYAL3 account … so selling our stock wasn’t an option. I chose the last option and put in paperwork to transfer my shares to an existing Fidelity account I have. We wanted to let our shares earn DRiP shares. We wanted control. So we opted to transfer our shares to Fidelity. On May 1st, we submitted our request to transfer assets from LOYAL3 to Fidelity … well before the deadline set by LOYAL3 to transfer assets to another broker other than FolioFirst. Now, over a month later … our assets still sit in our LOYAL3 account … waiting. Per Fidelity, they are waiting for LOYAL3 to process the request – which I 100% believe to be the case. When the transfer request was first processed by Fidelity, they gave an estimated completion date of May 15th. When I log into my LOYAL3 account, I am greeted with a pop-up message stating my account has restrictions and lists a phone number to call. Of course when I call the number … I get an automated message with a bunch of options. And wouldn’t you know it … LOYAL3 isn’t taking any direct phone conversations due to large call volume. So instead, I am instructed to send an email to their customer support. Word of advice – How about just putting the dang message to send an email in the pop-up window so don’t totally tick off all your former customers! I get it … you probably don’t care anymore … makes sense. Anyways … I now have an email out waiting for reply about when my assets will finally be transferred to Fidelity. Note – I did get an automated email response back from LOYAL3 stating they are working on transferring accounts to other brokers still. I personally feel that $17,000+ of my assets have been frozen. Never really experienced this type of thing before … and it has only been a month … but I feel a little helpless. When I log into my account, I can see all of my stocks listed and my cash balance. It is all grayed out in the background and cannot be accessed. It makes me feel just a little better to be able to see those stocks … but I can’t do anything with them! Now as a long term dividend investor, I am not in the business of short term trading. So there was probably very little chance I would need to sell off one of the stocks we own. I took care of most of that prior to the deadline by selling off all partial shares, etc. But the fact still remains, I can’t do anything with our current shares if I wanted. What if one of the companies we owned cut their dividend last week? My strategy is to sell immediately. What if I wanted to take the cash in our account (around $30 now) and reinvest it it. I don’t like idle money. That kind of cash isn’t much … but it is still something. Plus, now that it is June … this is a huge month for dividend income. I will receive dividends from several companies we owned in our LOYAL3 account including – Target (TGT), WalMart (WMT), Intel (INTC), Microsoft (MSFT), McDonald’s (MCD), and Unilever (UL). That is close to another $90 in dividend income that should be coming in this month. Overall, it is all probably just a minor inconvenience to have these assets frozen like this. But not having access to sell these stocks, setup dividend reinvestment plans (DRiP) through our Fidelity account, or reinvest the cash and dividend income this month – is very frustrating! As each day passes and our assets are frozen and stuck at LOYAL3 … I grow a little more frustrated. Most of all … I want to be given some straight answers. I had believed all this would be completed by May 22nd. Then I figured May 31st … since it was the end of the month. Now I don’t know what to believe. Please LOYAL3 … give me a date when I can have my assets back! Are your assets still held up with LOYAL3? What are your thoughts on these transfers?